The Copyright Advisory Network (CAN) exists to help librarians understand copyright law and appreciate the important role that they can play in serving the public “to advance the progress of science and the useful arts." 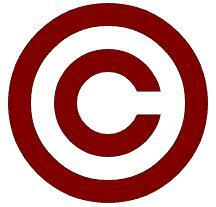 General hub of information about copyright and fair use. Of note to music students and faculty are the guidelines for reproducing music in classroom settings and understanding fair use. This guide also encompasses broader issues other than music, such as using material from websites. An extensive and easy-to-navigate resource with a handy "Copyright Quick Guide", discussion on fair use in education and research, and special topics like art usage, fair use in distance education (for instructors), and international copyright. This FAQ provides basic answers to common questions about music copyright. 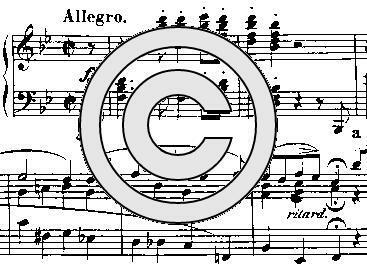 Created to assist music librarians with copyright issues, this site features a FAQ about copyright law, public domain, and fair use concerning music. The information includes snippets of quoted copyright laws from the U.S. Constitution and Title 17 of the U.S. Code. This interactive resource can help determine if a work published in the U.S. is still under copyright or in public domain. Selecting a particular copyright scenario from a menu generates an answer to whether permission is needed before using a copyrighted work. A reference site that explains music copyright law, fair use, and public domain in an accessible straightforward manner. It also provides a list of public domain songs and an archive of royalty free music.